On April 22, thousands will gather in Washington, D.C. and other cities around the nation and the world to March for Science. In Iowa, science supporters will gather at the Capitol from noon to 4. Marches are planned in Cedar Falls and other cities. Evidence-based policy is sorely needed in Iowa, where lawmakers have introduced several bills designed to turn back the clock on science and science education. There’s House File 480, which would require teachers to present “opposing points of view or belief” to lessons on evolution, climate change or human cloning. There’s House File 140, which would overrule the State Board of Education’s adoption of the Next Generation Science Standards for Iowa schools. Rep. Sandy Salmon of Janesville has introduced this bill before, opposing the standards because they teach evolution and human-caused climate change. And there’s House File 7, which would have allowed Iowans to opt out of vaccinating their children for any reason. Throw in bills that would eliminate tenure and require political “balance” among faculty at the state universities, and it’s clear there’s an anti-intellectual and anti-science streak among at least one party at the Capitol. But some liberals also cling to unscientific beliefs. Vaccinations have fallen off in some well-educated, largely liberal parts of the country, leading to outbreaks of measles and other diseases. Democrats have supported things like labeling foods that contain genetically modified or gene-edited organisms or that have been irradiated (there is no evidence any of these endanger health) and converting nuclear power plants to renewable energy sources (an admirable goal, but it will be difficult for renewables to completely replace sources for base power and nuclear – especially new designs coming on line – is a carbon-free alternative that’s cleaner than coal or gas). There’s room for people from across the political spectrum to unite in support of science. The Branstad-Reynolds administration has supported expanded science education with its STEM initiative, which provides grants and guidance to help train an Iowa workforce capable of luring and filling high-tech jobs. But it’s unclear whether this support for science, technology, engineering and mathematics extends beyond an economic interest to true acceptance of science’s application to issues like climate and clean water. We’re about to find out. Policymakers from all parties are invited to join the march. You are, too. 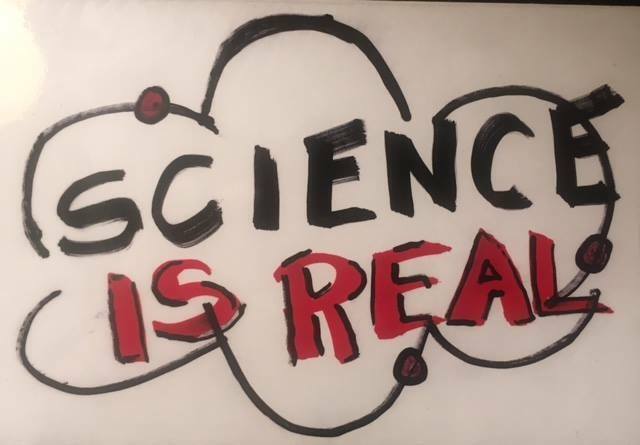 Information on the Iowa march is available at Marchforscienceiowa.org, by emailing hello@marchforscienceiowa.org or at the Facebook event page. There’s also an Eventbrite page for those who wish to register their interest in the Des Moines march – although registration is not required. The march also needs volunteers. Finally, and most importantly, the march needs money. Trees Forever, a Marion 501(c)3 non-profit devoted to caring for the environment, including urban forests and rural lands, is acting as the fiscal sponsor and is accepting donations on its behalf, making contributions tax deductible. March with us. March for science.